Grooms are no longer being overshadowed by their beautiful wives-to-be. Traditionally, all eyes were on the bride, and the groom tended to blend into the background. Recently however, men have started to put their own stamp on their wedding day and are expressing their personality through style. There are so many things to consider when deciding what to wear on your special day, but the unassuming shirt is often overlooked. Once the jacket comes off, your shirt will be on display so it is important that it fits beautifully and has been properly ironed. Depending on how you choose to wear it, this essential item of clothing can subtly create an impact. Traditionally, wedding shirts are white or ivory but modern grooms are coordinating their shirts with the wedding colour theme. Pastel colours are à la mode this year and pale pink, yellow and blue shirts look fantastic teamed with a smart grey suit. Purple shades were also prominent on the men’s SS14 catwalks and a crisp lavender shirt accompanied with a charcoal suit is fresh and contemporary. 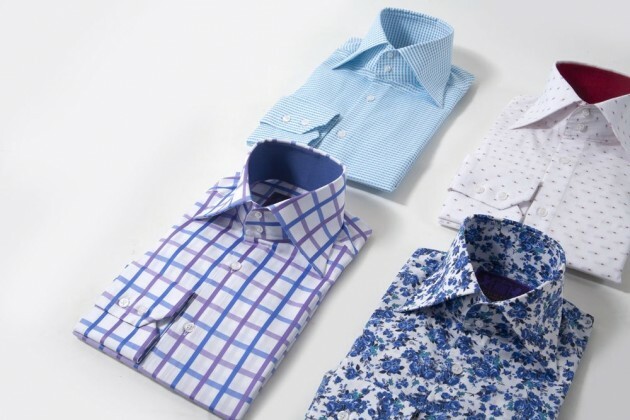 Fashion shirts with patterns are a great way for grooms to express their unique style. Florals aren’t just for the bridal party and a subtle print on a neutral background can look striking with a light coloured suit. If you are having a country wedding, a shirt with an understated gingham check, styled with a waistcoat or a tweed jacket creates a refined, rural look. If your wedding is black tie, nothing looks more suave than a slick dinner suit combined with a sharp evening shirt. Winged collars are extremely formal and if you are after something a little more relaxed, choose an evening shirt with a cutaway or semi cutaway collar. These collars can still be styled with bowties but are slightly more contemporary. Finally, if you decide to stick with a classic white shirt, add a touch of personality and interested by choosing one with subtle design features, such as a rounded collar or mother of pearl buttons. 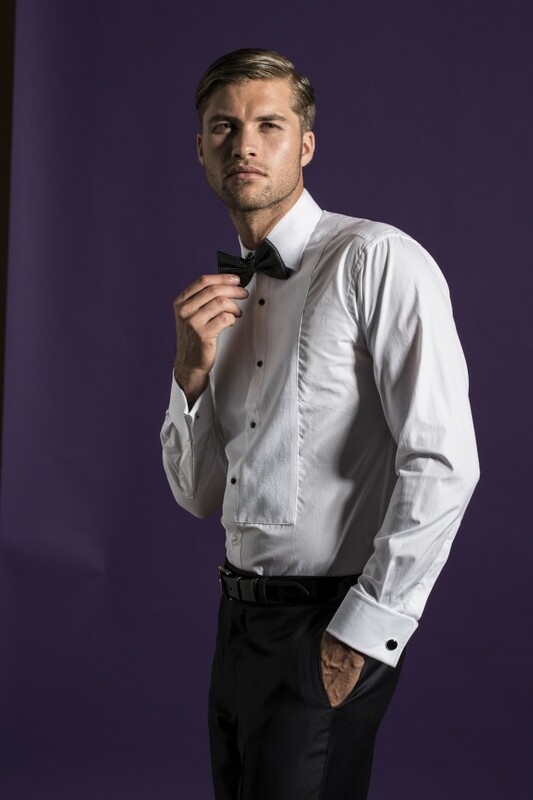 Shirts with double cuffs will allow you to wear stylish cufflinks and personalise your wedding day attire. Hawes and Curtis have been making bespoke shorts for over a century, do take a look at their website for more fabulous contemporary designs for men and women. And give them a follow on twitter for latest news!